US automaker Ford has recently returned to Effat University in Jeddah for the second running of its acclaimed Driving Skills for Life (DSFL) for Her programme. Ford’s DSFL for Her made its successful global debut in Saudi Arabia earlier this year in March when more than 250 students from the university took part in the course – and dozens more took part in the second wave. “Learning to drive can be stressful to newly licenced drivers wherever they are around the world – and we know that it takes time to assimilate these new skills,” said Simonetta Verdi, director, Government and Community Relations, Ford Middle East and Africa. 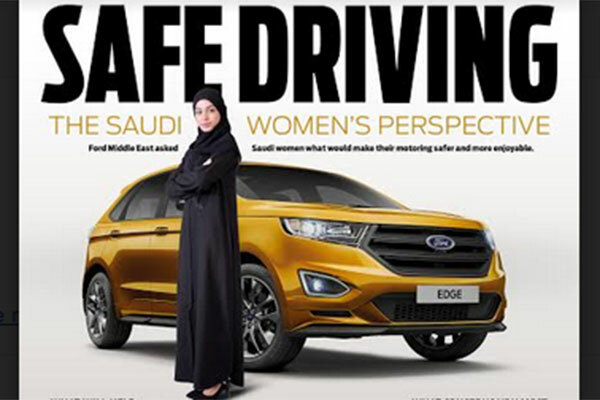 Women in Saudi Arabia say that strictly enforced traffic laws would help make roads safer, and that self-parking technology is a top priority for them when shopping for a new car. The revelations came during a Twitter poll which targeted Saudi women. The poll targeted women aged 18-35 in three main cities – Jeddah, Riyadh and Dammam – and attracted more than 85,000 votes. When asked what would make roads safer, 45 per cent of women agreed that stricter traffic rules will help make a difference, while 26 per cent said that everyone was responsible for making the roads safer to drive and that it should be a collaborative effort on everyone’s behalf. Chief among driver concerns was traffic suddenly stopping ahead – one of the key issues DSFL addresses with the space management and braking modules. Of those surveyed, 38 per cent said that the prospect of a suddenly stopping vehicle – possibly while in heavy traffic, or because of a problem ahead – overruled any issue they may have with breaking down (26 per cent) or tailgating (22 per cent). The survey also revealed that women drivers in Saudi Arabia placed a high priority on technology that helped them to park. When asked which features they looked for in a new car, almost 80 per cent said that parking technology, like self-parking features (50 per cent) and parking sensors (29 per cent) were a must. Surprisingly, Bluetooth (11 per cent) and Navigation (10 per cent) were distant considerations. “These concerns mirror many that have been identified the world over, which is why we’ve developed a suite of driver assist technologies that include features like Adaptive Cruise Control and Forward Collision Warning with brake support. These features are designed to alleviate stress by helping drivers to effortlessly maintain a comfortable distance from the vehicles ahead,” said Crystal Worthem, director of Marketing, Ford Middle East & Africa.